Hans S. Reinders, editor. William B. Eerdmans Publishing Company, Grand Rapids, MI / Cambridge, U.K., 2010. 183 pp. This book is a series of articles by participants in the Humble Approach Initiative sponsored by the John Templeton Foundation, who gathered at a conference in Trosly-Breiul, France in March 2007, hosted by the L’Arche community there, exploring the subject of what one can learn from persons with disabilities. William A Gaventa’s “Learning from People with Disabilities: How to Ask the Right Question” addresses the importance of identifying worthy goals in one’s service to people with disabilities; they are not there so that we can work out our personal issues. Their purpose is not to enlighten us. And how we identify them is also important; strengths and gifts, likes and dislikes are constructive categories; labels are not. In his many years of interacting with people with disabilities, he sees three major areas that constitute the interests and desires of people with disabilities: a place to call home, a valued occupation, and someone to love who will love them. At the heart of love is mutual growth. Stanley Hauerwas’ “L’Arche as a Peace Movement” calls for a reaffirmation of the mystery of suffering. Western society since the Enlightenment has seen many reform movements in which sympathy has been taken to the unrealistic conclusion that suffering can be removed from human experience. From this, we have seen the emergence of mercy killing. In response, he quotes Jean Vanier: “Every pain, every hurt we experience can become an offering, a source of life for others in and through Jesus’ offering of love to the Father.” Vanier also relates how the screams of a core member brought hateful, even violent thoughts to his heart, a violence he confronted, a violence we all must confront. At L’Arche communities one encounters a slowing down, dispositions trained in patience, long-term commitments, trust, routine and celebration. And, at times, a reaching out to other faiths. The violence of speed is dispelled. Again, a quote from Vanier: “What matters is being truthful.” L’Arche’s animating center: Faith in Jesus as the One Who has redeemed time. Brian Brock’s “Superogation and the Risk of Human Vulnerability” confronts the values of western society, which has come to “live by the numbers,” specifically in the expectations of genetic counselors who present their facts and statistics to expectant parents who have an unborn child with defects. The expectation is that a decision will be made to remove the burden from society. To such values he contrasts the L’Arche communities, which, he says, are a school for relationships. L’Arche is a witness, a word from outside and above, about the necessity of listening to those who challenge our presuppositions by wishing to bear and live with the most vulnerable of humans. John Swinton’s “Known by God” distinguishes knowing about God and knowing God, and holds for the Scriptural declaration that faith is a gift of God. Swinton cites the apophatic way which hold forth the reality that God transcends human intellect and human language fails when seeking to express Who He Is. But the Lord can be embraced by love. All we know of Him we know from what He has bestowed upon us. “As you did it to the least of these, you did it to Me.” (St. Matthew 25) The central gestures of love – laughter, touch, embrace, friendship, encounter – take on the shape of God. Christopher Newell’s “On the Importance of Suffering: the Paradox of Disability” offered the perspective of one who is himself disabled. He admitted he sometimes feels that the struggle is unbearable and he wishes to die. He critiques the project of modernity, which avoids and seeks to deny human finiteness and mortality. In a world where intellect is all, mental illness and retardation are threatening. The conference at the L’Arche provided community, relationship, and dignity. Christopher wept. He noted that Churches fight euthanasia but do not provide community for people with disabilities, without which many want to die. In that Jesus willingly suffered, the avoidance of suffering is a questionable pursuit; the healing through brokenness in community that L’Arche communities exemplify sets forth a wondrous paradox. Christopher Newell’s challenge is one every Orthodox Christian parish must grapple with. Right worship and right belief must be incarnated in the local Orthodox Christian parish according to St. Paul’s explanation of the workings of the body in his first letter to the Corinthians chapter twelve. For we are the Body of Christ.
. . . now indeed there are many members, yet one body. 21 And the eye cannot say to the hand, “I have no need of you”; nor again the head to the feet, “I have no need of you.” 22 No, much rather, those members of the body which seem to be weaker are necessary. . . .
God composed the body, having given greater honor to that part which lacks it, 25 that there should be no schism in the body, but that the members should have the same care for one another. Steven G. Post wrote “Drawing Closer: Preserving Love in the face of hypercognitive values.” He contrasts a culture where the stress is utilitarian, in which rationality, efficiency, and the resulting material abundance reign, with the communities of love which Jean Vanier and Thomas Kitwood have cultivated, places where caregivers and those cared for both give and receive love, leading to healing growth for all. Christine M Pulchalski’s “Dementia: A Spiritual Journey for the Patient” is a meditation on relating to a person with dementia (her mother), who lives in the present. Social status and accomplishment are forgotten; the essence of a person is his spirit. She quotes Mother Teresa concerning the value of silence. diminishment and the release of control lead to purification, and the regaining of simple trust. Crucial for caring for a person with dementia: patience, gentleness, kindness, and presence. And one may use moments to remind the person of what they have been. Roy F. Baumeister’s “Effects of social exclusion and interpersonal rejection: An Overview with Implications for Human Disability” details experiments involving exclusion, and the results showed that exclusion leads not to acute pain but numbness (emotionally and to physical pain), loss of emotional sensitivity and empathy, increased aggression and self-defeating behaviors, decreased helpfulness, as well as a reluctance to expose oneself to further rejection. People who have experienced significant rejection will respond to other’s initiatives, but lack to the basic trust to initiate relationships. Also, rejection has been revealed to lead to a temporary drop in IQ, comprehension, and rote memory. Since persons with disability frequently experience rejection, the success of L’Arche’s approach, involving persistent initiation of kind acts and words, meshes well with the findings of research into exclusion. Kevin S. Reimer’s “Moral Transformation in L’Arche Communities for People with Developmental Disabilities” surveys the means whereby L’Arche’s approach sees shame transformed into other-oriented moral maturity. It is process that happens through interactions in mundane everyday experience. Both caregiver (assistant) and the cared for (core members) ultimately both give and receive, and for the ones that can see through this admittedly difficult process (which can only be done with the help of the Holy Spirit) there is progress toward “the consolidated self,” all of which is, in Orthodox Christian terms, growth into the likeness of Christ, toward theosis. Pamela Cushing”s “Disability, Attitudes, Cultural Conditions, and the Moral Imagination” laments the failure of western society as a whole to exercise its collective moral imagination and see the value of people with developmental disabilities. She blames ethnocentricity, fear of the different, the stranger. Cushing details how L’Arche transforms people’s moral imagination and the means by which this is done. Patience, presence, receptivity, authenticity, and other-orientation are the personal fruits of this transformation. Cushing urges a wider circulation of L’Arche’s story, for the good of society as a whole. Xavier Le Pichon’s “The Sign of Contradiction” is a paraphrase by Pope John Paul II of Symeon’s “a sign that will be spoken against,” which he gave to the Virgin Mary, as recorded in St. Luke”s Gospel, chapter two. Jesus, the eternal Word of God, becomes a baby, and is finally condemned and executed. This is the supreme contradiction in which the very young (including the unborn) and the very old, in their vulnerability and suffering, participate. Le Pichon, quoting Fr. Thomas Philippe, Vanier’s mentor, proclaims these times of personal weakness the golden ages of human life, times in which the Holy Spirit especially acts. Persons with significant disabilities belong to both of these ages. Yet modern secular society devalues persons in these categories. For example, genetic counsellors present genetic facts in ways that subtly encourage parents to abort genetically defective unborn babies. Le Pichon also relates an archaeological find of a seriously disabled Neanderthal man buried with honor, an expression of the dignity, meaning and value of all life in a primitive tribe that modern society is losing sight of, to its peril. Again citing Fr. Philippe that communion is in easier reach with vulnerable people, he proclaims that vulnerability and fragility are two essential components of humanity, in that vulnerability becomes a common ground for authentic relationships, the kind that transform the participants. As St. Paul writes, “When we are weak, we are strong.” The denial of these “signs of contraction” by modern western society leads to a deadly hardening, impoverishment, and decline, which may be averted only by heeding the sign. All of this would support the Orthodox Christian contention that the West has gone astray on the basis of “relying on their own insights,” (Proverbs 3:5) in other words, on their limited human logic, rather than recognizing how much Divine mystery is inherent to the life in Christ. This had its beginning late in the first millenium after Christ as the Western Church began to allow theology to be addressed apart from its ecclesiastical (Church) context in academic, scholarly settings, blending theology and philosophy in ways that violated the apophatic character of our knowledge of God. In other words, there were illegitimate attempts to probe into the mysteries of God that call for our awe and worship rather than our comprehension. The Eastern Church may have used words from Greek philosophy, but they re-defined and used them according to the apophatic Way. Hans S. Reinders, editor. William B. Erdmans Publishing Company, Grand Rapids, MI / Cambridge, U.K., 2010. 183 pp. Reinders notes that persons with profound disability live in the eternal here and now: no past or future, no plans or projects. Western culture defines meaning and purpose according to human agency, admiring the self-made man. But those with profound disability do not fill empty time with projects; they live in God’s time, receiving life and living in the divine economy according to the providence of God, like the lillies of the field. According to the human economy, as it is conventionally understood, success is defined by the increase of wealth, and there is a tendency to compare our success in this regard with those around us, and worry when we suffer in comparison. But in vain do we worry, for in vain we we seek to secure our own existence, to be our own providence. When we do this we create a space, a distance between our self-imagined personal “providence” and the true providence of God. We move away, apart from dwelling in His loving care when we prefer to secure ourselves. Like the lillies of the field, persons with profound disability silently, eloquently teach the rest of us about trust, and living in God’s time. In this, they function as a sign. As St. Paul writes in his first letter to the Corinthians, chapter twelve. those who are weaker are indeed necessary members of the body of Christ. We need this sign. Of course Orthodox Christians believe in synergy, in which human beings of their own free will cooperate with God’s grace. St. Paul speaks of “faith working through love” in his letter to the Galatians. Those of us who can apply our faith in works of love must do so. But as Reinders observes, those who do not have the wherewithall to do this are a sign to the rest of us Who He Is Who creates, sustains, and provides for our existence, our life, our activities. Isn’t it all too easy to start taking the credit for our accomplishments? But as the chief of sinners, I get the feeling that the real “least of these” is the one has been given very, very much and for the most part squanders it. People with lesser abilities are the “least of these” only according to a conventional human point of view. For according to the Lord Jesus Christ, the poor widow who gave her last penny was the greatest philanthropist of all. Hans S. Reinders, editor. William B. Erdmans Publishing Company, Grand Rapids, Michigan / Cambridge, U.K., 2010. 183 pp. He mentions the elements – professional, spiritual, and ecclesiastical that undergird L’Arche communities, and a vision concerning education (in regard to the people involved in L’Arche): not just autonomy, but maturity. [italics added] He discusses a common disposition of many persons with developmental disability who come to L’Arche: a wound, a sense of shame, which they intuitively gathered from their parents who in their hearts were disappointed that they were not “normal” children who would grow up to be independent and achieve “success” in this world. At L’Arche, as “core members,” they begin the process of healing through a combination of professional help and by being nurtured, valued, loved. But ultimately these core members and the assistants who care for them reciprocally deal with wounds and brokenness, in relationship with one another which are characterized by mutual support and communion rather than control by the staff. Some of the core members communicate by physical gestures rather than verbally. Days at L’Arche include work, interesting activities, and celebration, of both life (such as birthdays) as well as death. In answer to the title question, Vanier and assistants at L’Arche have found that relationships with persons with developmental disabilities are a purifying fire in which their own difficulties with relationships, their dark thoughts (including violent ones), anguish, and fears are revealed – brought into the Light – to be healed by the only One Who can- God. Vanier sees a path to large scale peace in the dynamics of this kind of community, when the rich and powerful enter into authentic relationship with the vulnerable and helpless. The message of humility and love people with disabilities have given Jean Vanier has drawn him closer to Jesus, the enfleshed Word, Who Himself became vulnerable and little. Jean Vanier has a big heart. Like the Athonite Monk St. Silouan, he would like to extend the love of God which he has found (for Vanier, in his relationships with persons with developmental disabilities) to all. If only it were contagious, and could be caught! But the free will of man comes into play, and as Jesus said, many take the broad way that leads away from life. But the witness of Jean Vanier will endure. May all our Orthodox Christian parishes discover this dynamic he shares in this book. And as we grow, local parishes can work together to create more Orthodox Christian communities for the disabled like St. Matthew’s House in Columbia, Maryland and Hellenos House on Long Island. 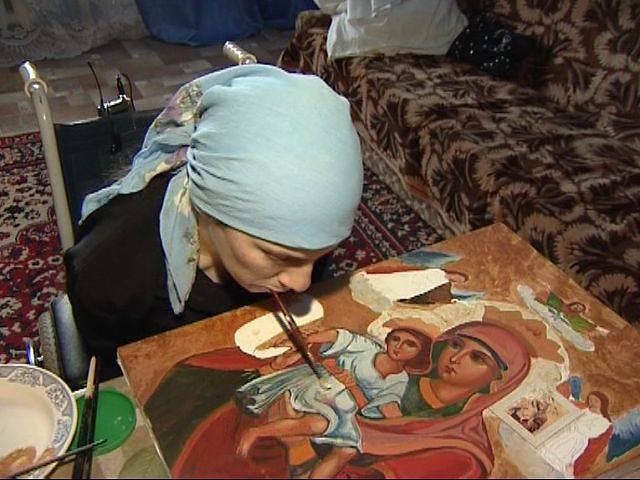 For Orthodox Christians, the place where such things start is the place where we worship. Kostas Z Partners in Chicago, Greece, Brazil . . . The Rehabilitative Institute of Chicago http://www.ric.org/ – ranked the top rehabilitation hospital in the country by U.S. News and Report for 20 years in a row. Kostas Z is about involvement, both at home and abroad.